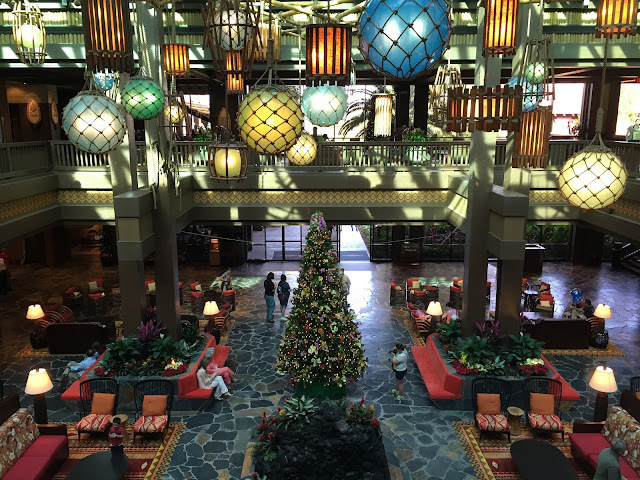 Today, I had the chance to get a look at the new Polynesian Resort lobby, which opened a little over a week ago. When I first heard that the waterfalls and lush green foliage were being removed, I wasn't thrilled. I have been visiting this resort for nearly 40 years, and there was some nostalgia that went along with the original lobby. However, my first impression of the makeover was very good. There is a great deal more space for walking and many more spots to sit down. Also, you can walk straight through to the pool/beach area without having to go around the large "jungle" that used to occupy the center. In addition, the "balls" hanging from the ceiling add color and character to the lobby. DDW Pic 1195. Move It! Shake It! Dance & Play It!